The publication of Brad Stone’s book about Amazon, “The Everything Store”, is the catalyst for a lot of new discussion about the topic most difficult for the book business to discuss. It is pretty much impossible to be in the book business without benefiting from Amazon’s market reach. But it is also pretty standard fare to be worried about what the impact will be on your business as that market reach grows. Amazon is, at the same time, both the biggest customer for most publishers and many wholesalers and their most potent competitor. They compete with every bookseller for sales, which weakens the brick-and-mortar trade, and thus dilutes the core value proposition that publishers have always offered: putting their authors’ books on bookstore shelves. Weakening the diverse bookstore ecosystem weakens the wholesalers. At the same time, Amazon competes with publishers for authors, both through their publishing programs and through their self-publishing services. They also compete with the free ebook lending from public libraries and the various ebook subscription services with their Kindle Owners Lending Library, a service offered to their Amazon Prime customers that makes a large number of titles — many published by Amazon or self-published exclusively through Amazon — available for no-additional-payment downloads. And they are capable of creating propositions that every other retailer would love to match but would find quite difficult to do, such as their recently announced “Matchbook” program which offers a free or very cheap ebook edition to any customer who has bought the print version of that book from Amazon. In fact, many publishers believe in the print-and-digital “bundle” and have made efforts to engineer it for bookstores, but it is hard to do that cost-effectively. It isn’t hard for Amazon. Candid public conversation about Amazon from other players in the industry is pretty much a non-starter. Every publisher is walking the fine line of trying to make their sales grow through their largest account and, at the same time, somehow growing their sales faster everywhere else. And that’s just about impossible. For the few years (just concluded) when all ebook sales were growing, publishers were seeing upswings in their business with other digital accounts besides Amazon. 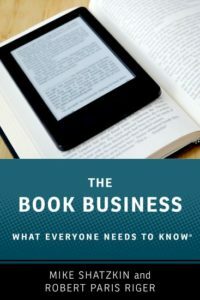 But recent evidence suggests that ebooks have hit either a point of serious resistance or a temporary plateau so even that may not be true anymore. It is likely that for many publishers Amazon represents the only significant account that continues to grow. Last week, Jeremy Greenfield of Digital Book World interviewed me about “why it is so hard to compete with Amazon”. Since this is a topic of such widespread interest but also so hard for so many of the industry leaders to discuss, extending that discussion seemed warranted. * When does Amazon’s share growth stop? * Who is left standing when it does? About those two questions, all we’ll say here is that Stone’s book gave me fresh insight into the possible answers. Now for those three missing points and why they’re important. I first raised these questions and wrote about Amazon’s squashing of Ingram Internet Support Services (known as I2S2) about two years ago, but what I think is a very important story didn’t make “The Everything Store”. As Stone describes clearly, Amazon began its business basically standing on Ingram’s shoulders. They stationed themselves in Seattle, near a big Ingram warehouse in Roseburg, OR. When Amazon started, they were able to take a customer’s order and money; order and receive the book from Ingram and deliver it to the customer, and then sit on the cash for a while before they had to pay Ingram for the book. Pretty early in the piece, Ingram saw that all retailers could take advantage of this capability of theirs. So they created the I2S2 offering and went out to book retailers to persuade them to use it the same way Amazon did. Of course, at that time Internet retailing of books was a tiny part of the market, but Ingram hoped that the opportunity to offer a cash-flow-positive service to their customers would entice some stores, who were already Ingram customers, to diversify the choices for online customers. Before I2S2 could get off the ground, Amazon killed it with high-profile discounting to as much as 40% off the cover price, effectively taking the profit out of Internet sales. This move was seen as a tactic to grow the customer base quickly and satisfy the investment community’s desire to see growth in top line and in customer base. That’s accurate. But it also stopped what could have been serious competition in its tracks. Booksellers profiting from their stores had little patience to build online business that was small and would now not even be profitable. But imagine if Amazon had not reacted to the existential threat of a multitude of potential competitors by trading their margin for survival! The I2S2 experience of the late 1990s adds some poignancy to a piece of excellent reporting by Stone about a meeting Amazon had with Ingram early in the century when Amazon’s stock was falling and some industry players were worried about whether they could pay their bills. Stone reports John Ingram making it clear to Amazon that Ingram could not afford an Amazon bankruptcy. Clearly, Ingram’s credit policies had continued to fuel Amazon’s growth in the years that had elapsed when they killed I2S2 with discounting. The second point that is somewhat more significant than I think Stone portrays it was Amazon’s purchase of the ebook technology Mobipocket in 2005. In those days before there was a real ebook business and an “epub” standard (which Amazon eschews, which is another story not thoroughly enough explored), the two leading reflowable ebook standards were controlled by Palm Digital and Microsoft. Palm’s strategy was to sell the ebooks themselves through sites they owned or controlled. Microsoft was going for the broader play and enabling retailers to sell their format. But the problem was that the lion’s share of the tiny ebook market read Palm, not Microsoft’s Dot Lit format. So the retailers, one of which was Barnes & Noble, were really hobbled. They could only sell the ebook format nobody wanted. Mobipocket’s format would work with both the Palm reader and the Dot Lit reader, so selling that format would reach most of the hand-held devices then used for ebook reading. If B&N or Borders or anybody else had made a strong push for the ebook customers using Mobi, and capitalizing on the format’s ability to serve the entire ebook market of the time, the effort might have gained a foothold. After Amazon bought Mobipocket, they did nothing with it for three years until they used it as the ebook format for the Kindle. (By that time, Dot Lit was about dead and Palm’s core business in hand-held PDAs was about to be demolished by the iPhone.) Did Amazon buy Mobi to postpone the ebook revolution until they were ready to lead it? It would certainly seem that way. The other significant item that I think “The Everything Store” underplays is Amazon’s enabling of the used book business online. Although this is a “marketplace” function — Amazon is not the seller of the used editions, independent players are (presumably, although questions have been raised about whether all the marketplace sellers are actually entirely independent) — it was Amazon’s decision to place the used book availability and pricing right on the same page which sells all the editions from the publisher. That means that everybody who searches Amazon for a title is shown the used copies that are available competing with what the publisher offers. What is the impact of this ubiquitous used book availability competing with new copy sales at the world’s biggest book retailer? Well, actually, nobody really knows. In 2006, Amazon (for some unexplained reason) participated in a study and industry conversation about used book sales. They haven’t done it again between then and now, and since Amazon’s marketplace almost certainly sells the lion’s share of used books, there’s not much point to examining this question without their participation. We launched a DBW survey today on “start-ups” about which we’ll write more in a future post. But if you are either part of a start-up or in the business development function of a publisher that includes meeting with them, you will find our survey of interest (and we will value your response). You can read more about the survey here or just jump in and start answering questions. And, of course, Brad Stone, the author of “The Everything Store”, will be one of three great speakers we’ll have talking about Amazon at Digital Book World in January. 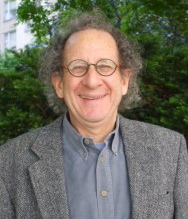 He’ll be joined by Benedict Evans of Enders Analysis, who has a paradigm for analyzing Amazon as a business that is uniquely insightful, and by Joseph J. Esposito, an industry veteran with a strong background in scholarly publishing who has noticed for years that Amazon is a significant competitor in the institutional market (schools and libraries).